Natives starting to find their stride? Photo by Eoin Devereux. 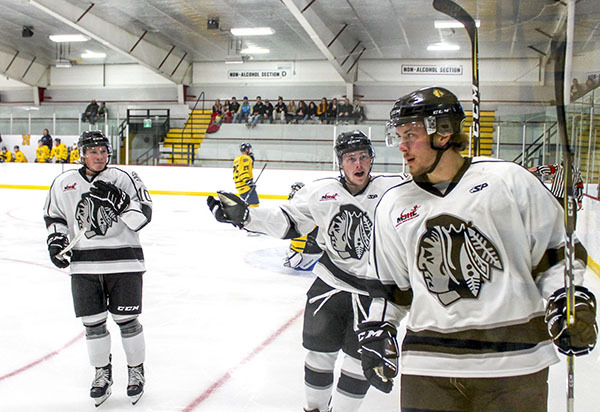 The recent arrival of Scott Mickoski (foreground) to the Neepawa Natives’ roster has had a huge impact, as he already has five points (3 goals - 2 assists) in his first two games with the franchise, including four against the Winnipeg Blues on Wednesday, Oct. 3. 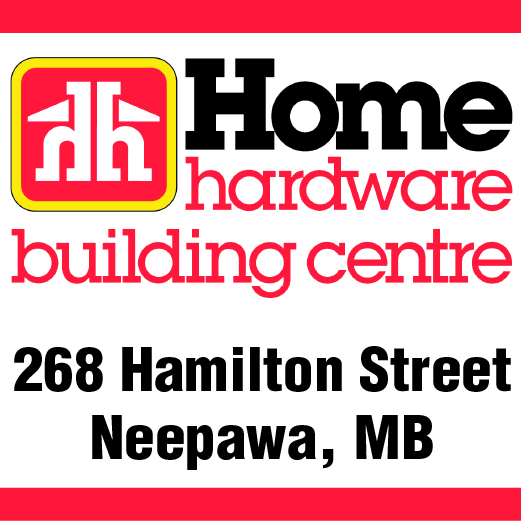 The slow start to the MJHL season for the Neepawa Natives appears to have taken a turn for the better, as the club has won two of their last three games. Read more: Natives starting to find their stride? 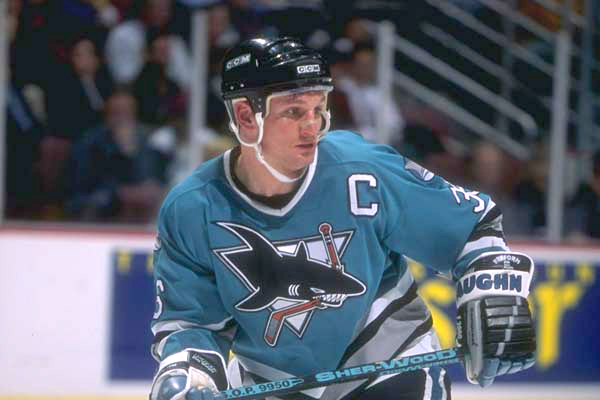 NHL tough guy Jeff Odgers will show his softer, gentler side at the Neepawa Sports Dinner. 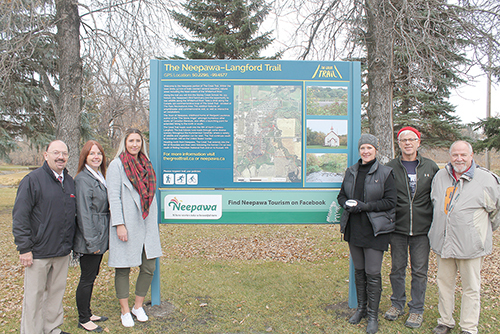 Jeff Odgers, the farmer, said this week that he “had a bit of flax left to harvest and it should be fine.” But it is not only the farmer but Jeff Odgers the Brandon Wheat Kings Alumni and former NHL tough guy who will be featured at the Neepawa Natives 10th Annual Sports Dinner on Nov. 3, 2018. Bruce Wood is seen addressing the attending coaches before the presentation starts. Sports coaches gathered at the Neepawa Public Library for a 6:30 p.m. session on building team culture last Thursday, Sept.27. The session is an effort by Coaching Manitoba, part of Sport Manitoba, and was lead by Support Line Coordinator Bruce Wood of Sport Manitoba. The line coordinator provided details to the Banner & Press prior to the presentation. The medal winners from the NACI Cross Country team. 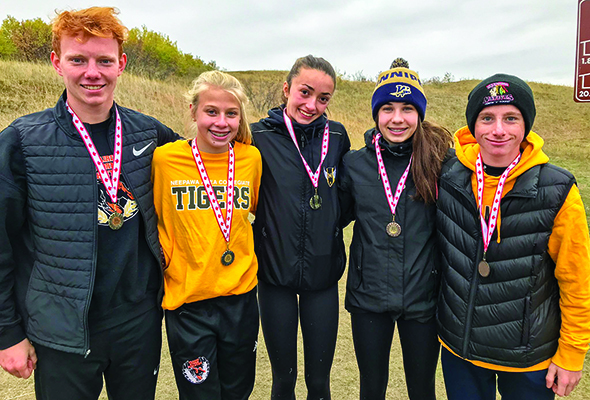 It was a great day of the NACI Cross Country team on Monday, Oct. 1 at the Zone 7 Cross Country Championships, as five local athletes closed out the day with top-5 finishes. 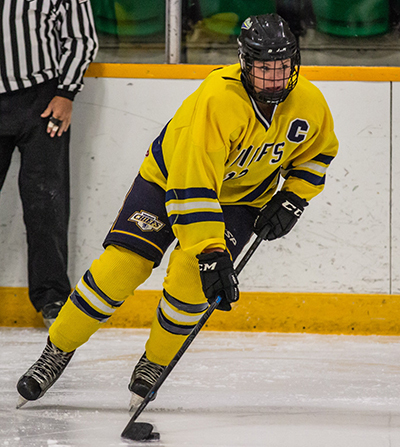 The Manitoba Female Midget Hockey League (MFMHL) is pleased to announce that Yellowhead Chiefs forward Rylee Gluska has been selected as the CCM-Selkirk Source for Sports Player of the Week for Week one ending Sept. 30.